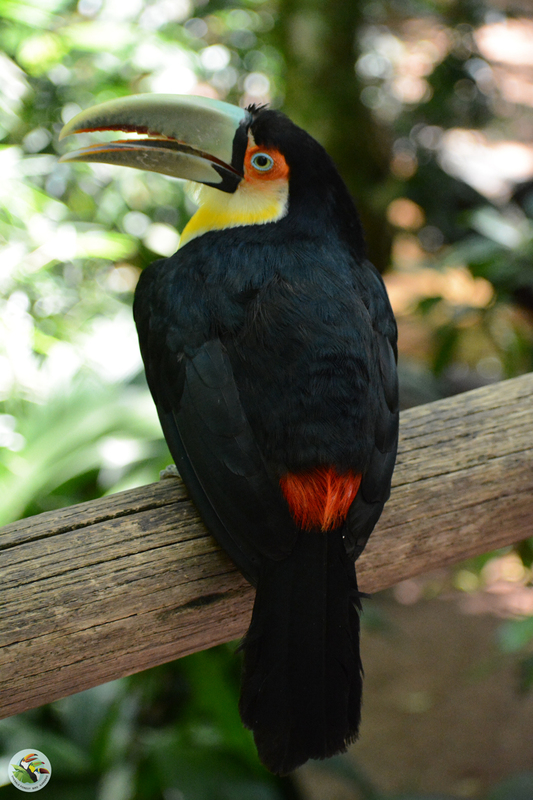 Red Breasted Toucan (Ramphastos dicolorus) is one of the smaller species of large black toucans, weighing approximately 350 grams. 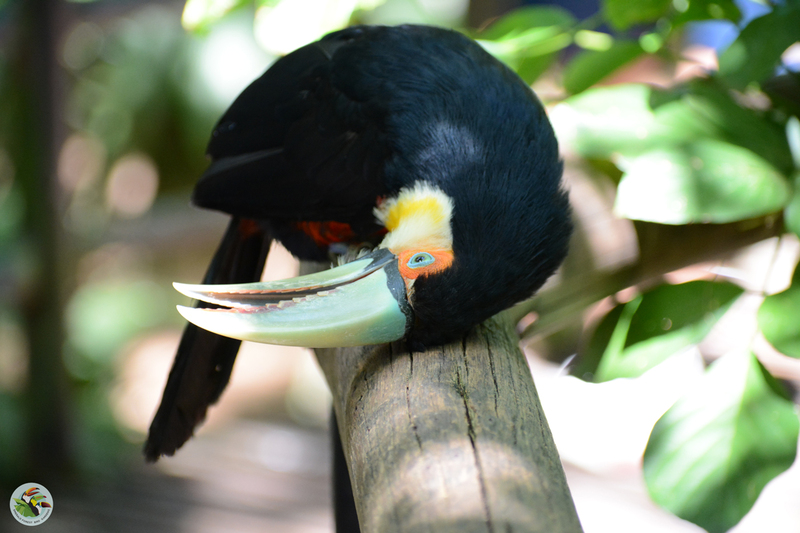 Its beak is the shortest of the large toucans at only four inches in length. The Red Breasted derives its name from the large area of red feathers, which are really on the abdomen. Its breast is actually orange, with yellow at the sides. 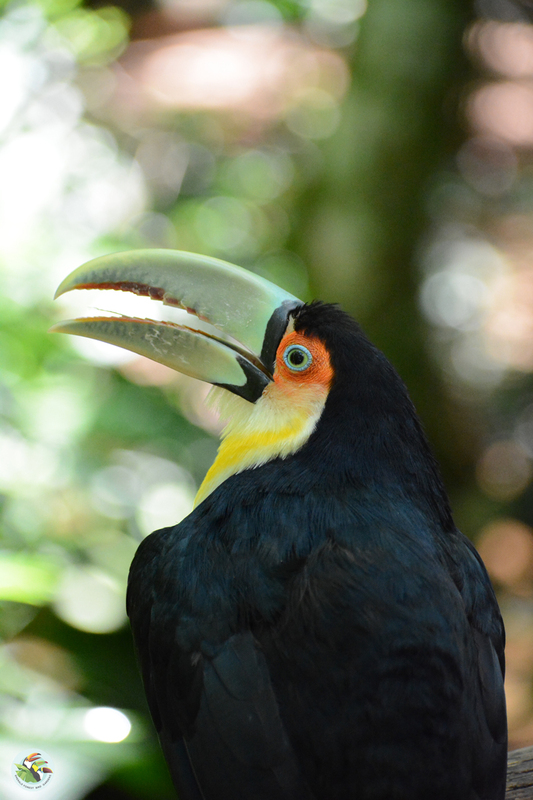 The beak is mostly green and is thus occasionally referred to as the Green Billed toucan. 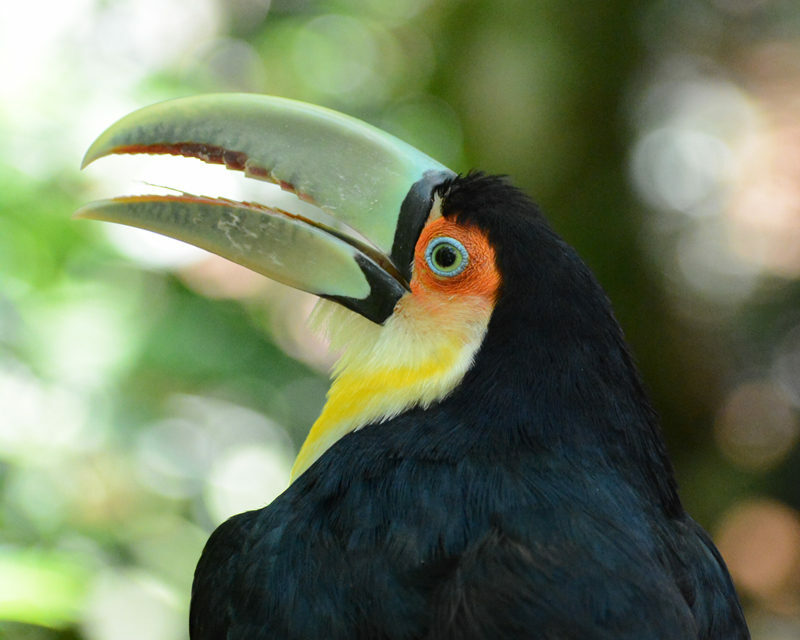 The Red Breasted Toucan is found throughout central and southern Brasil and south into northern Argentina, and is one of the more commonly seen species. Unfortunately, it has become quite rare in captivity, though it was once common in zoos and private collections. The Red Breasted was first bred in captivity in 1967(Walsrode, Germany) and in the U.S. by Phoenix Zoo.